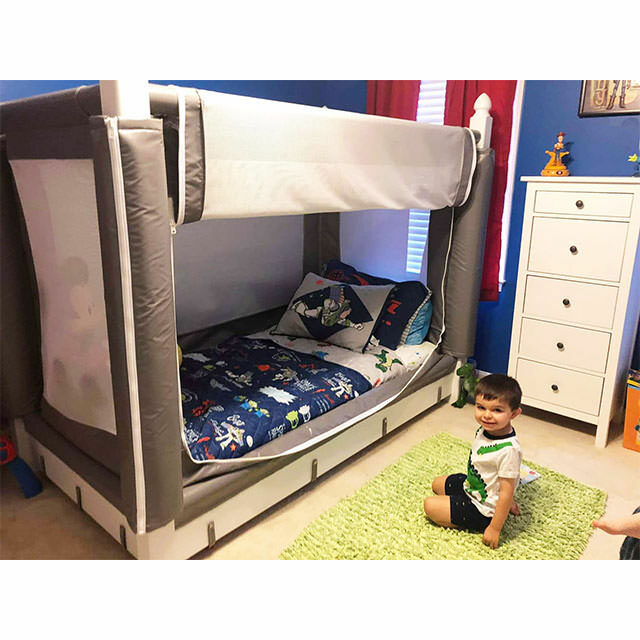 Noah’s enclosed canopy bed allows your child to be surrounded by comfort & safety to sleep and provides a contained play environment. 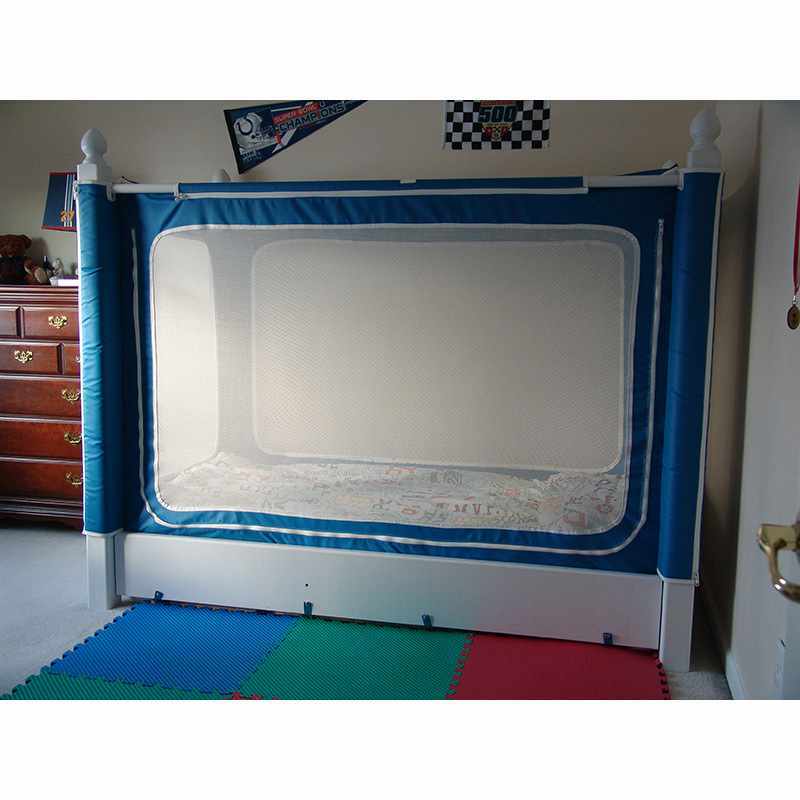 Noah’s bed is designed to fit a standard twin size box spring and mattress and is easy to assemble and transport. 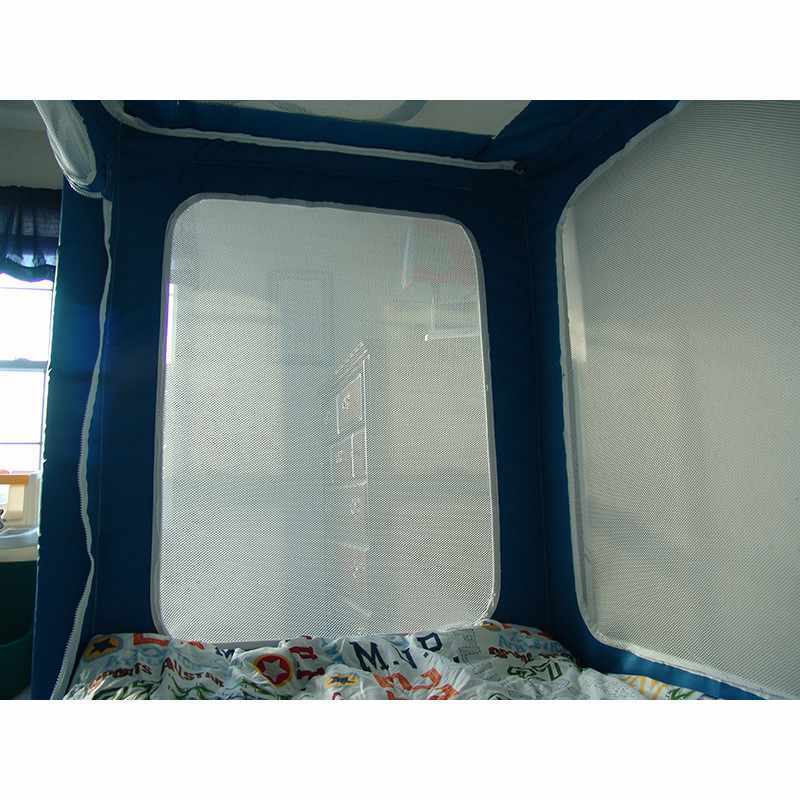 If you have a child diagnosed in the Autism Spectrum that prevents him/her from “normal” sleep. 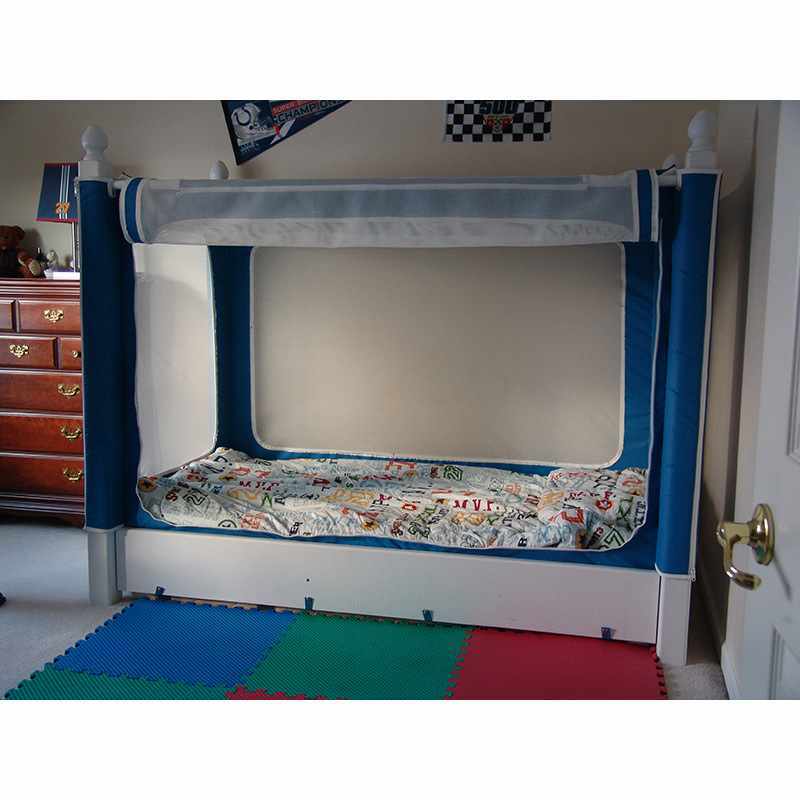 If you have a child that needs care throughout the night, then this bed is perfect for your needs. Noah’s world bed has wooden construction which is finely crafted out of solid wood. The cushioned inside padding is soft to touch and the zippers are strong and resistant to breakage. 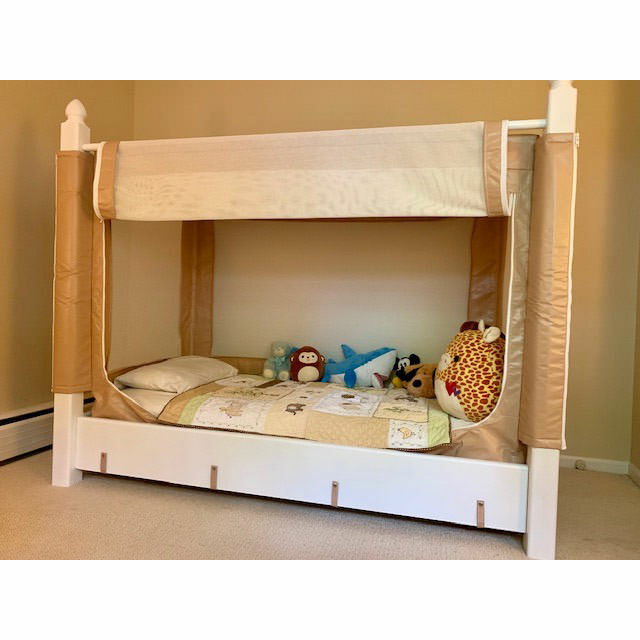 Exterior of Noah’s bed is individually sewn and only the strongest materials are used to maximize the strength and durability of the bed. Custom finishes are available to match your child’s room decor at an additional cost, please call us for specific detail.. Manufacturer warrants this product to be free of defects in materials and workmanship for the period of 1 (One) Year to the original consumer/purchaser. This warranty is subject to the proper installation, operation and maintenance of the device in accordance with installation instructions. Warranty claims must be made by client in writing within sixty days of the development of a problem. Company’s obligation under the warranty is to repair, replace or correct any such defect that develops or to refund the purchase price to client. The warranty period begins on the date the device is delivered and continues for 12 months. Excluded from this warranty are issues related to accidents, misuse, misapplication, storage damage, negligence, or modifications to the device or its components.